As mentioned in the FAQs for prospective members, the INS is the fastest growing, multidisciplinary and representative worldwide body dedicated to the scientific development of neuromodulation and its knowledge dissemination. The INS provides leadership and a forum for clinical and scientific endeavor into this exciting and sometimes novel medical discipline. One of the ways the INS works is through committees. For instance, we encourage networking, collaboration, and mentoring through our Young Neuromodulators Committee and International Women in Neuromodulation Committee. 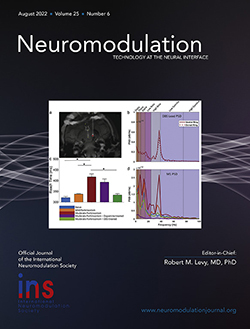 The International Neuromodulation Society's journal, Neuromodulation: Technology at the Neural Interface - which is published eight times a year and is MEDLINE indexed. An interactive and secure website for worldwide communication with peers and experts. Registration discounts to INS conferences. Assistance with issues of access, reimbursement and clinical governance. Where a regional chapter society exists, the applicant can join the chapter society and automatically become a member of the INS, thus enjoying benefits from both. Opportunity to actively contribute to a growing, dynamic, and promising field. The International Neuromodulation Society has the following regional chapters. If you reside in a country represented by a regional chapter, please click on the appropriate chapter link to complete your form online. 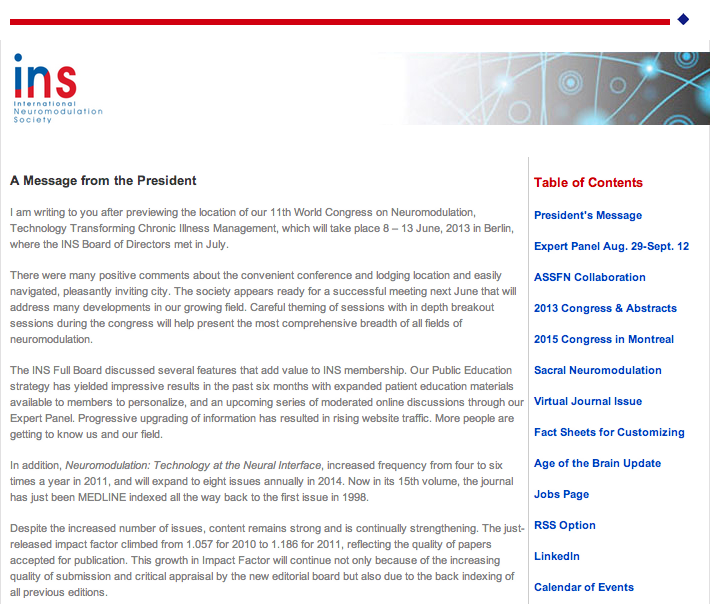 If no chapter exists for your location, please click on "International Neuromodulation Society - Global". To renew, please see the renewal page. Please contact the INS Administrator with any questions. Please see the renewal page for renewals.